Formative assessment is one of the best ways to ensure student learning. Unfortunately, formative assessments can take time to administer and grade. 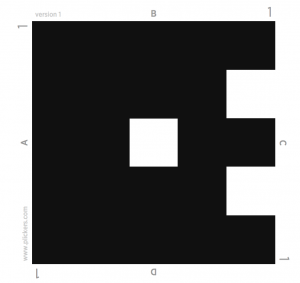 This past week Bob Oddo shared an app that he found called Plickers which makes formative assessment as easy as taking a picture of your class. The students do not have to have a device; all you need is the Plickers app on a smartphone or iPad, a set of easy-to-print answer cards, and a set of questions. This past summer Lena Wang, the Systems Analyst at KAS, went to JOSTI in Washington D.C. where the app was used to survey the attendees about the conference itself. The teacher asks a question, and students hold up cards giving their answer. 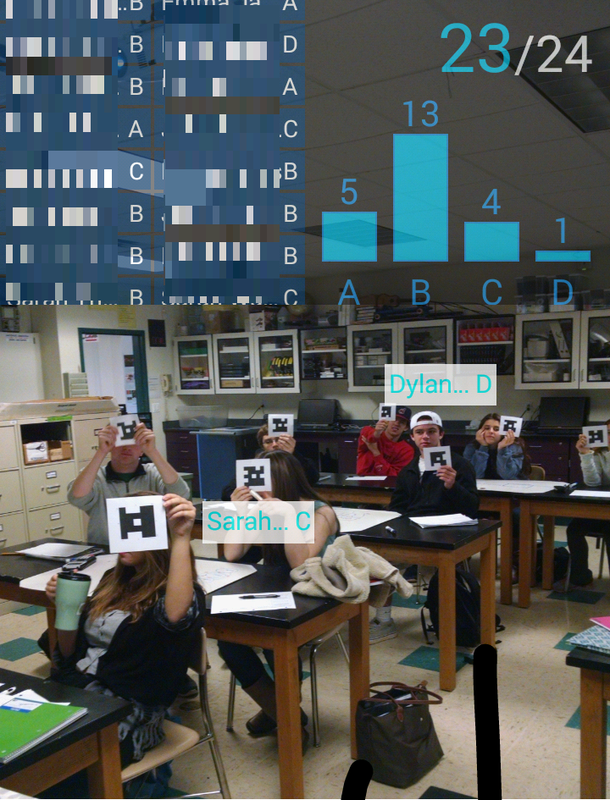 Through the app, the teacher takes a picture and is given immediate data about the distribution of answers in the class. From there, teachers have information on how to proceed with their teaching. We tested the app in the Office of Learning Design this week and found that the teacher needs to keep their phone in the portrait position when surveying the class. There was also an issue when one participant was a little hidden. All in all though, a very interesting app. 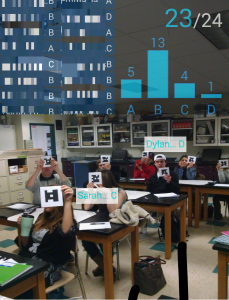 Read about one high school science teacher’s experience with Plickers. Amanda really appreciated the confidentiality when pooling her students. Her class is a mixed group of grade 10 and grade 12 students and it allowed for all to answer without any pressure from their peer. This was all the more important since the topic they were studying, AIDS, is a sensitive issue and in order to uproot misconceptions, she needed to identify them. To save time, Amanda logged in to the Plickers website to create her questions. This saved her a lot of time since she did not have to enter text on her phone. Although she had 25 students in her class, she never managed to retrieve all 25 answers while swiping her phone around the room. We were wondering if printing and laminating the cards would produce better results. In order to share the questions with her students, she had to create a separate presentation, Amanda is hoping that in the future, the questions can be displayed from the Plickers website without the results. She ran into some organizational issues as well because the cards are handed randomly in the classroom and it is very difficult to match a student with a card on the website, she was looking for a simple way to click on a student name and assign her to a card number. She was also looking for a quick way to use the same questions over for multiple classes without having to reset all the data. Lastly, she could not access the folders created on the website through the app. It seems this issue is now fixed with the latest iOS version 3.1.1. Amanda’s experience with Plickers was positive and she is looking forward to use it again as a formative assessment.